Do you need lumber and pallets? Reardon Pallet Company, Inc. has you covered. We are able to provide pre-cut lumber, already cut and loaded on pallets, to our customers quickly and to your satisfaction. We are able to provide your business with the amount of lumber needed to complete your project, and they will be delivered on our quality pallets! 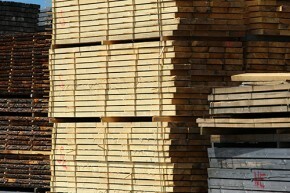 If you are looking for both lumber and pallets, Reardon Company, Inc. is able to meet your needs. Give us a call at (816) 221-3300 today so we can discuss our options with you right away!